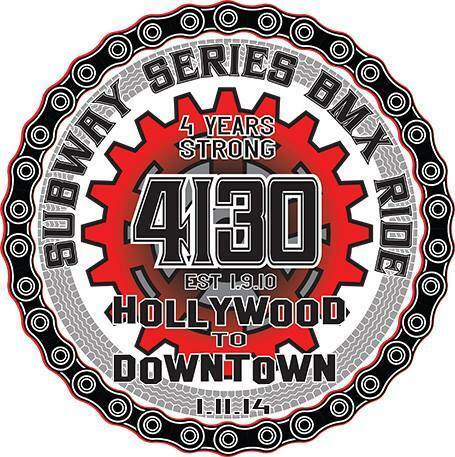 Based in Southern California but known around the world, The 4130 Subway Series hits the 4-year mark this weekend with what promises to be an epic ride. With every year the ride gets bigger and better, so if you’re anywhere in SoCal this weekend, you better drop what you’re doing and get down with the 4130 crew because this ride is pure BMX. Even the post-ride celebration is worthy of mention…held at the Pig’N Whistle in Hollywood…riders get special “parking” for their bikes. When you roll 4130, you’re VIP! Looking forward to seeing all the photos and videos from Saturday night. Respect to the 4130 crew.